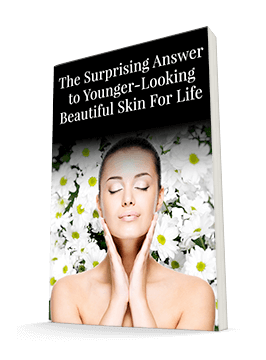 When we think about healthy skin, we usually think about our facial skin first. We definitely don't want to have unsightly or dangerous problems there. But the truth is, we may be far more likely to develop a dangerous skin issue much farther away — on your toes! If you've ever had an ingrown toenail, you know how painful it can be for the sharp edge of the nail to begin cutting into your skin. You can develop an ingrown toenail on any toe, but they're most common on the big toe. If you have diabetes or other circulatory issues, you need to pay special attention. Ingrown toenails can be painful for anyone, but they're especially dangerous for people with these conditions. Fortunately, there are ways to avoid developing ingrown toenails in the first place. Believe it or not, some people have a genetic tendency toward ingrown toenails. Whether this is you or you just want to be sure you never have to deal with this painful nuisance, the first preventative step is to trim your toenails straight across. While you might prefer a rounded look for your fingernails, on your toes, those curves can lead to trouble. You should also consider using a toenail clipper rather than a fingernail clipper if your nails are thicker. Toenail clippers are larger and better able to handle the thicker nails of our feet. They cut cleanly without breaking the nail. In addition, it's very important that your shoes fit properly. Wearing shoes that are too tight can make the problem much worse. Get rid of any shoes that pinch or rub, and follow these tips when you replace them to make sure you find a less problematic pair. This silky smooth cream contains the latest in apple stem cell skin science to visibly reduce the signs of aging. It also contains Rice bran, Candelilla, Jojoba and 36 more ingredients to add natural moisture and counteract age-causing dehydration. Wake up in the morning to energized, fresher looking skin. Here's a simple tip for finding shoes that fit. Make sure you shop later in the day. Our feet tend to swell during the day, so you don't want to end up with shoes that fit in the morning but are uncomfortable by afternoon. At the store, ask a salesperson to measure your feet. Keep in mind that you may need a different shoe size for each foot. It's unlikely the store will sell you separate shoe sizes, so choose the larger size. Shoes that fit properly should give you about half an inch of space between your longest toe and the front of the shoe. You should be able to wiggle your toes as well. Make sure you can walk comfortably in the shoes. If they slip off or feel tight, they won't get better once you take them home. If shoes don't fit in the store, they don't fit. If the shoe is too narrow — meaning the ball of your foot feels crammed in — ask if the shoe comes in a wider size. Note that I didn't say bigger. Going up a half size will get you a longer shoe, but it won't get you a wider one. Finally, make sure the shoe itself is well-constructed. Is there anything loose or rough on the inside that might irritate you over time? Are the soles sturdy enough to protect you? If so, you've found a winner. Caring for your feet may not be as glamorous as caring for your face, but it's well worth the effort. Finding the right footwear and maintaining healthy toenails will help keep you pain-free whether you're on your feet or kicking your shoes off at the end of a long day. If you have been told you have high-normal blood sugar levels and are prone to foot or toe inflammation, you may want to get to the root of the problem and put the lights out on climbing blood sugar levels. Using just one tablet of Advanced Bionutritionals Advanced Blood Sugar Formula with dinner can gently and effectively reduce inflammation and keep your blood sugar in better control, making you less susceptible to inflammation. Remember high sugar = fire = inflammation. If your toes could talk, they would tell you to please keep your sugar down. Healthy Feet, Harvard Medical School, June 11, 2015.